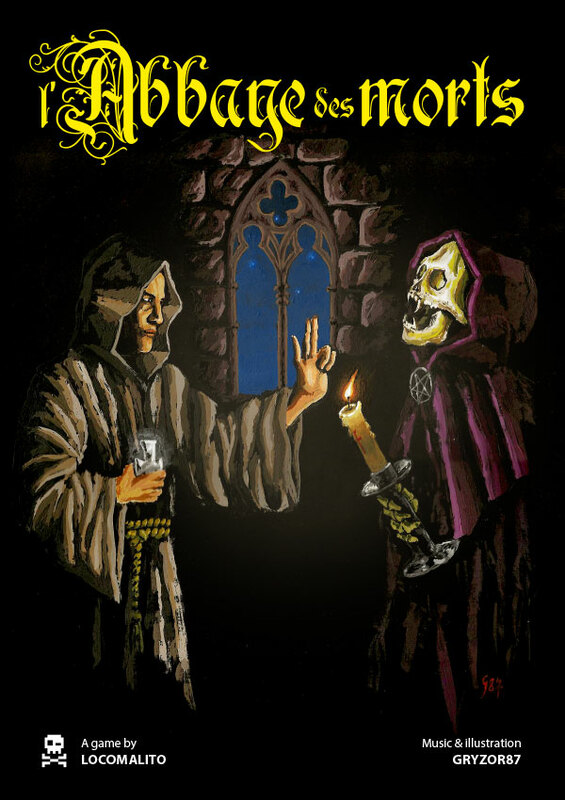 In the 13th century, the Cathars, clerics who preached about the poverty of Christ and defended life without material aspirations, were treated as heretics by the Catholic Church and expelled out of the Languedoc region in France. 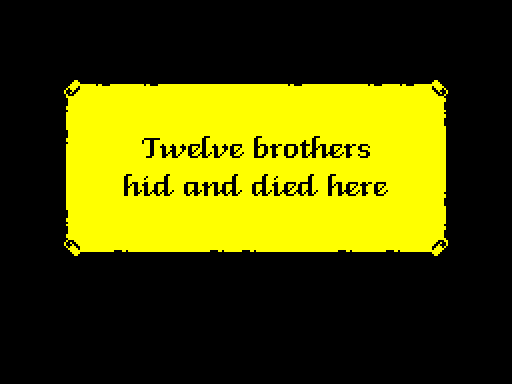 One of them, called Jean Raymond, found an old church in which to hide from crusaders, not knowing that beneath its ruins lay buried an ancient evil. 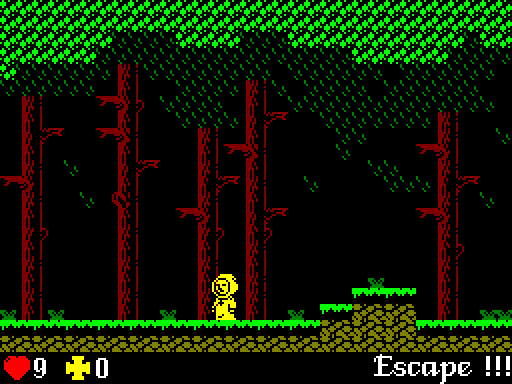 Faith will be your only weapon in this platformer styled like a ZX Spectrum game. 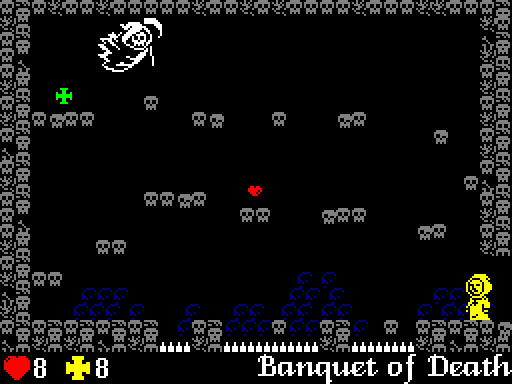 Black backgrounds, 1 color sprites and 1 bit sounds are a proper fit for a raw story. 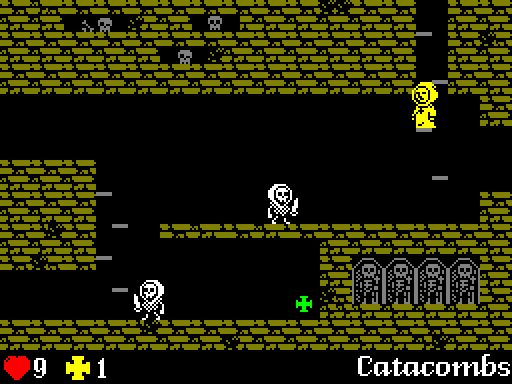 The lack of details turn on the player's imagination, creating a unique experience for each player. 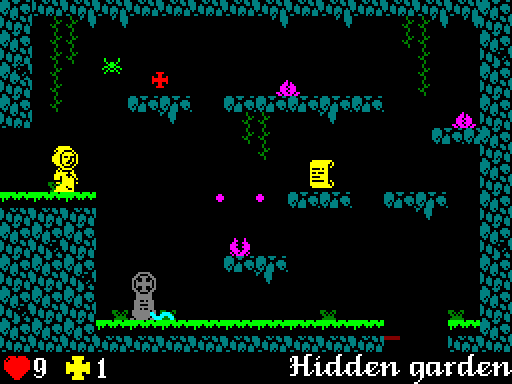 Look and feel of a ZX Spectrum game. 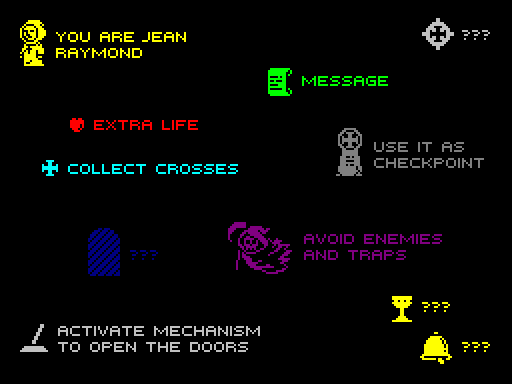 Riddles and hints to find items. Around 30 minutes of game length (once fully mastered). 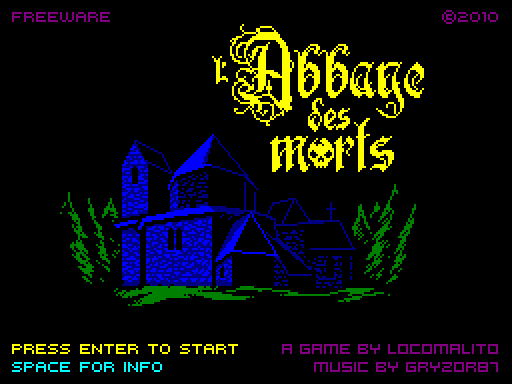 l'Abbaye des Morts has been inspired by the tragic history of the Cathars and platform games for ZX Spectrum computers like Manic Miner , Jet Set Willy or Dynamite Dan . This little project was created at nights during a vacation in southern France. It was like a jam straight out of our feelings in the Languedoc. 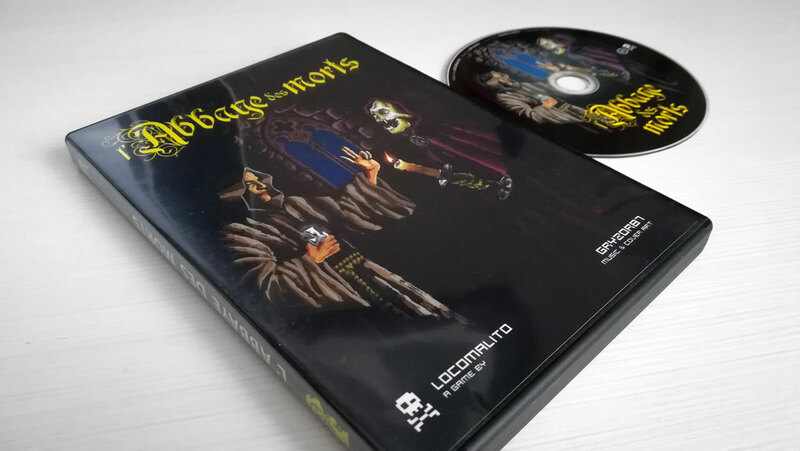 Some people consider it a cult title between my games. 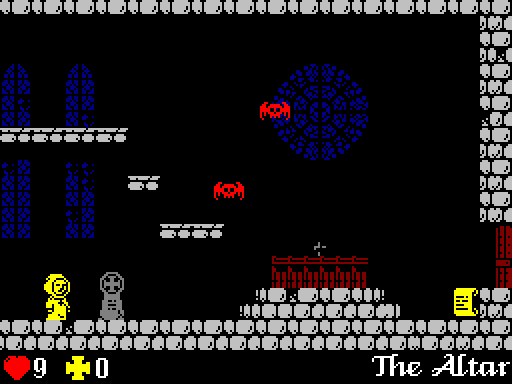 Its code was rewritten and open sourced by MoonWatcher and at this time it has been ported to a bunch of platforms, including a version for ZX Spectrum computers created by DaRkHoRaCe and Jerri that was later produced by RetroWorks in cassette format.